Security analysis firm Stratfor has relaunched its website after Anonymous hackers brought down its servers and stole thousands of credit card numbers and other personal information belonging to its clients. Hacking collective Anonymous admitted the cyber attack on Christmas Eve and went on to claim that it used the stolen details to make $500,000 in charitable donations to The American Red Cross and Save the Children, as well as other charities.Anonymous eventually released the stolen data to the world, including 75,000 credit card numbers and 860,000 usernames and passwords. Approximately 50,000 of those belong to .mil or .gov email accounts used by the US government. "This was our failure," Chief Executive George Friedman said in a message to Stratfor's subscribers. "I take responsibility. I deeply regret that this occurred and created hardship for our customers and friends." Friedman also revealed that the company was targeted more than once by hackers and had known for some time about a data breach.He said he was first alerted to the website hack in early December weeks before the loose-knit hacking movement Anonymous took to Twitter to boast of bringing down the website and stealing a stash of credit card numbers, emails and other data from the company. 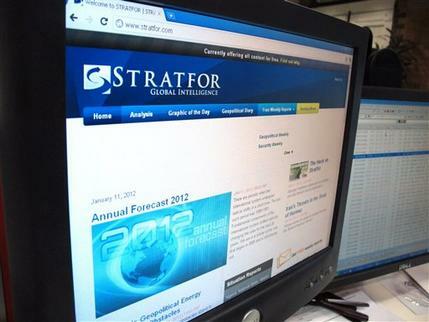 In a communication to the company's subscribers, Stratfor CEO George Friedman described the implications of the attack for those outside the company. "While the Internet has become indispensable, it also enables anonymity and undermines accountability," Friedman said. "We are now in a world in which anonymous judges, jurors and executioners can silence whom they want. This is a new censorship that doesn't come openly from governments but from people hiding behind masks." For additional information, please go to www.stratfor.com/hacking-news.